These addictive Apple Slab Pie bars are way to easy to eat! 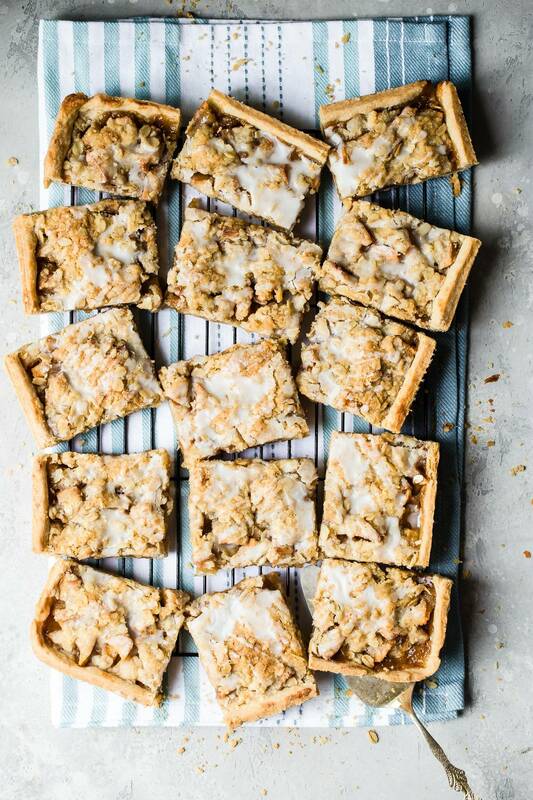 Light pastry is filled with cinnamon spiced apples and sealed with an oatmeal crumble topping! This post was sponsored by Autumn Glory Apples. I have so many apple recipes here on the blog but I keep shoving them in the fall category. This couldn’t be further from the truth because apples are meant to be enjoyed 365 days of the year! And as apples are a super nutritious thing to eat and so adaptable to cook with, you can add them to almost anything. 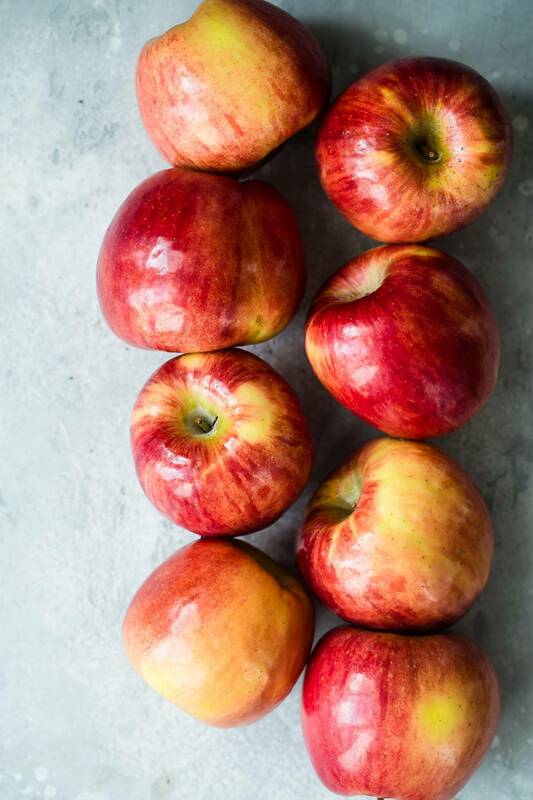 Whether you’re looking for sweet or savory, you can count on an apple to kick up the flavor in any recipe, but with so many to choose from, how do you find the right kind? 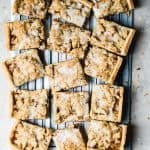 I used Autumn Glory Apples for my apple slab pie bars and they were perfect! Autumn Glory apples are big and crimson red with slight hints of yellow. They’re grown in central Washington and taste super sweet and juicy! Autumn Glory apples are also described as having hints of cinnamon and caramel. 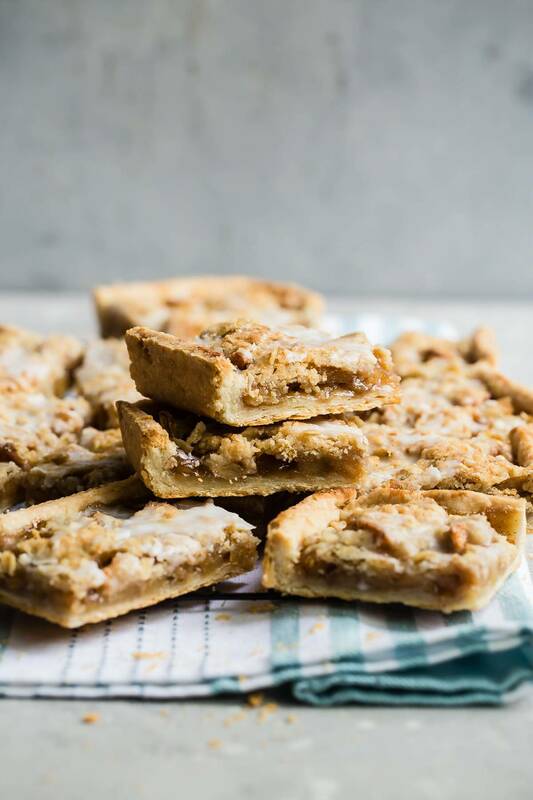 I couldn’t think of a better recipe to add them to than these apple slab pie bars. my kids also verified those taste notes as spot on, and kids don’t lie, very much. Making the Apple Slab Pie. Even though this isn’t a conventional pie we’re making we still have to make the pie crust. It’s very simple and can be made ahead of time and kept in the fridge. Just make sure to bring it to room temperature before rolling it out as that part can take 30 minutes. If you don’t make the dough ahead, 10 minutes in the fridge will be long enough for the dough to relax. Before you roll the dough out to a large rectangle shape, remember flour is your friend. You’ll need some on hand to prevent the dough from sticking to your table and tearing. How many ingredients are in the filling? Not many! Once you peel your Autumn Glory apples, you’ll cut them into small dice and add them to a bowl. Throw on top the brown sugar, cinnamon and a teeny pinch of nutmeg and flaky salt. That’s it because we want the flavors from the apples to really shine through. 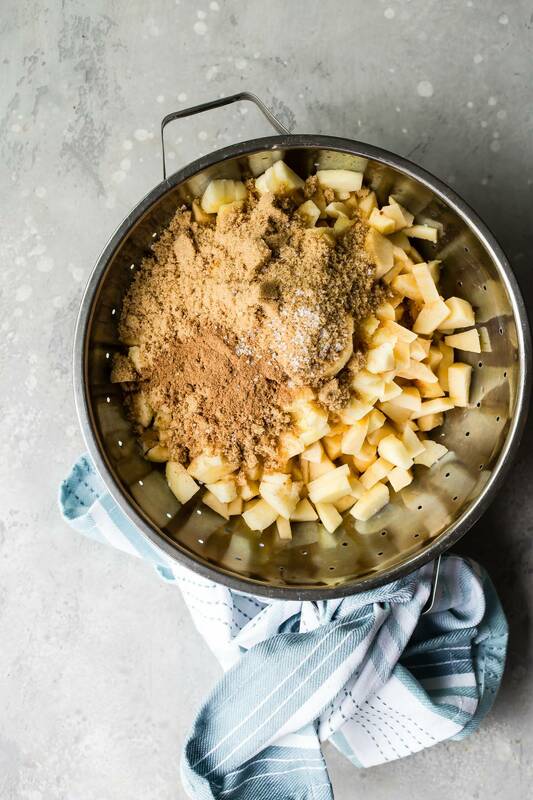 Once all of the ingredients are combined it’s time to add them to the apple slab pie crust. 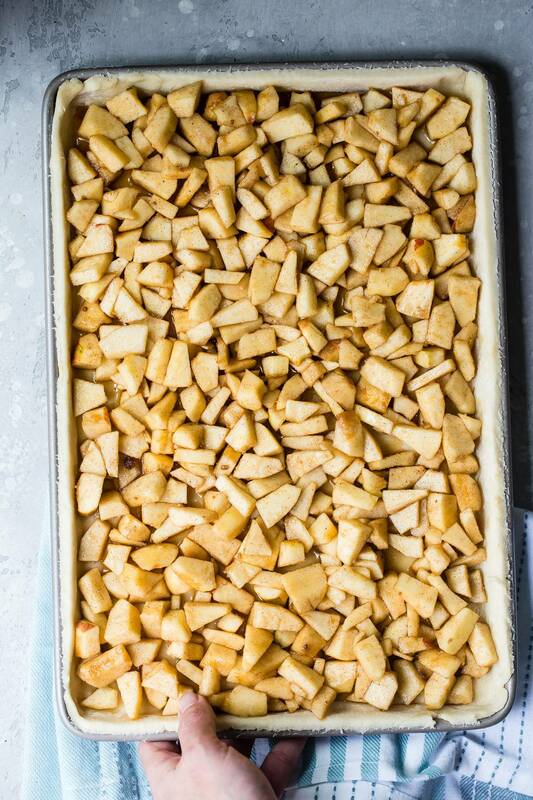 Make sure the baking pan is well filled as the apples will shrink down a little as they cook so really pack them in. I chose to use an oat-based flour and butter mixture because I wanted the apple filling to take full advantage of the light vanilla glaze after baking instead of being sealed beneath another layer of pastry. We want to see those apple chunks! 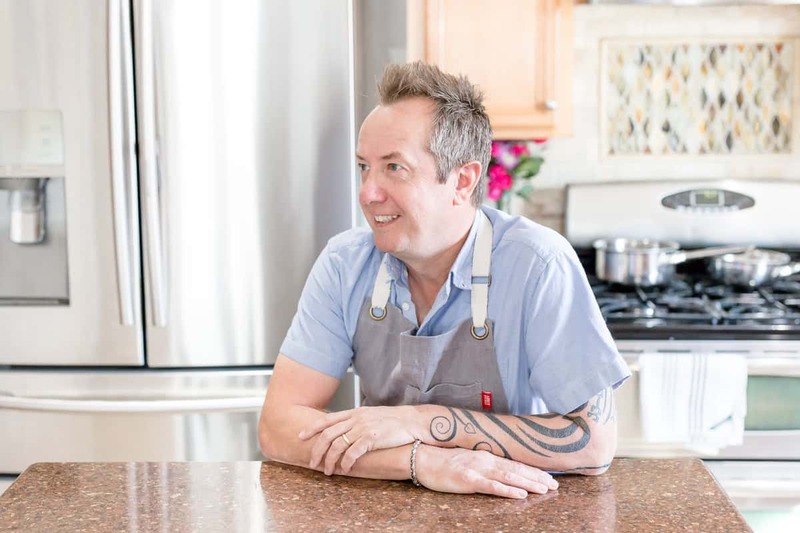 Is it easy to overbake the apple slab pie? I’d say no it isn’t. This is a very easy recipe to follow and the total bake time for me was almost 50 minutes and you can see how golden and amazing it ended up being. If you went over the bake time even by 10 minutes you’ll just enhance the crumbly chunks of buttery oatmeal topping until they end up tasting almost like a cookie. I would recommend baking longer rather than underbaking which might make the apple slab pie still seem wet and uncooked on the base. 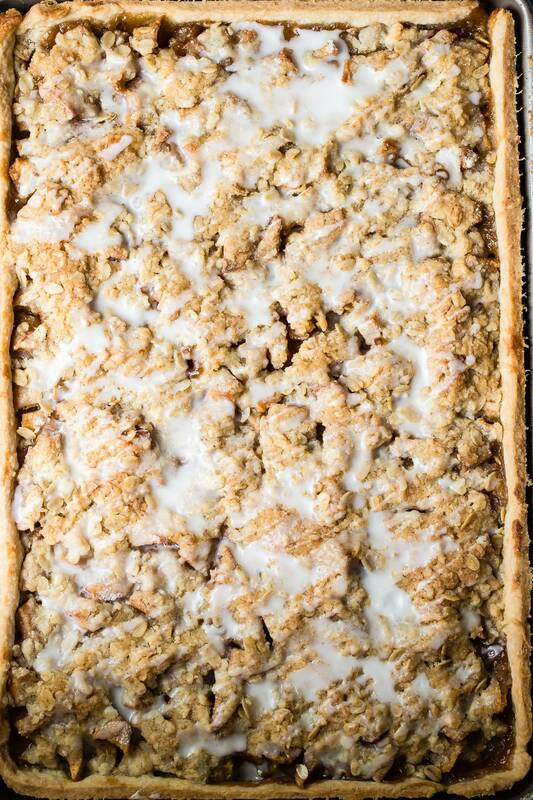 Once the apple slab pie is fully baked, finish it with a light drizzle of vanilla glaze when the slab pie is still warm so the glaze can ooze between the chunks of crunchy oatmeal. I sliced my slab pie into 15 squares and they were big although I still managed to make one disappear, but you’d be better making them mini-size and ending up with 24 squares. Check out these other apple recipes you might like! In a bowl combine the flour and diced butter in a food processor. Add the sugar and iced water and pulse until the dough forms a ball. Cover with plastic wrap and store in the fridge while you prepare the filling. Cut the wedges into small dice and add to a bowl with the brown sugar, cinnamon and salt. Toss well and let rest while you make the slab pie. 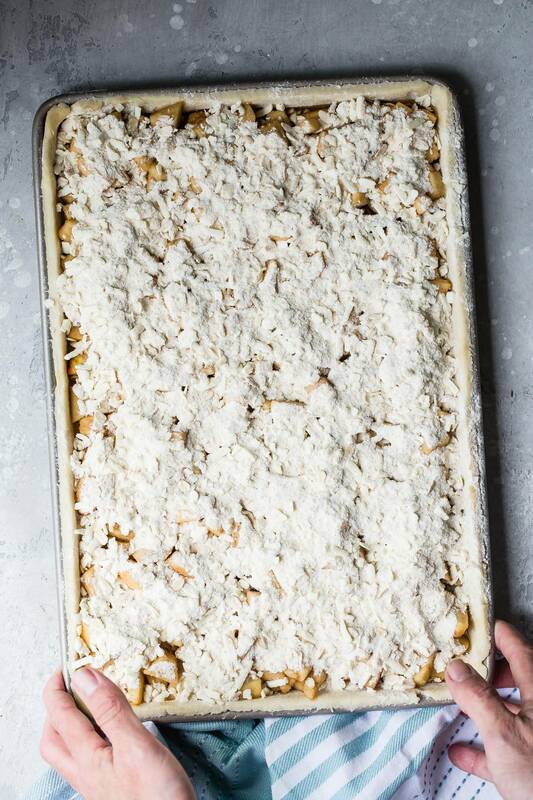 Take the dough from the fridge and roll it out large enough to fill a 15x10x1 inch baking pan making sure to leave a slight overhang of dough. Place the dough sheet into the pan and press down around the edges making sure to fit it in nicely. Trim any dough around the edges. Take the apple filling and place it into the pie crust spreading the apples out to fit evenly and covering any gaps you can see. In a separate bowl make the topping by combining the flour, grated butter, both sugars, oats and cinnamon. Once the slab pie is baked, make the glaze by whisking the powdered sugar, milk and vanilla together until smooth. Use a spoon to drizzle the glaze over the apple slab pie. Slice into small squares and serve.